If I Were a Boy—Even though I’m not having boy problems, I absolutely adore this song. It’s a slow ballad, but it does pick up the pace at times. And at just more than four minutes, it’s still a great length for a beautiful warm-up. Halo—This song very much reminds me of Rihanna’s Umbrella, in more of a ballad version. I’m totally okay with that because I also l-o-v-e Umbrella (ella, ella). This one picks up the pace just a notch and is one of my favorites on this side of the disc. Broken-Hearted Girl—This one is just catchier and more meaningful than some of the other ballads, and it grew on me the more I heard it. Witha beautiful piano and a good beat, this is one is great for a run. Save the Hero—If you love the show Heroes, buy this one. With the lyrics “Who’s there to save the hero, who’s there to save the girl after she saves the world?” how can it not remind you of that show? It’s very pretty and slow, but worth a listen. Single Ladies (Put a Ring On It)—And like the Joker said, “And here we…go.” This one has such a good beat that if it doesn’t get you moving, you must be severely depressed or dead. It’s such a great girl-power song—and I even have a ring on it. And I must mention again: the dancing. Dear goodness! Radio—The lyrics on this one aren’t my favorite, but I still love the beat and it just sounds fun all around. I love the repeating vocals, especially the “ohs” as well as when she says “tru-uh-uh-unk.” Fit Bottomed Girls love that. Diva—This one reminds me of Britney with the electronic voices, and it’s a little slower but definitely funkalicious. Plus, it’s fun to say that a diva is the female version of a hustla. Hello—This one sounds like it could belong on the “I Am…” side of the album, but it’s a little quicker paced and has a little more attitude. If you had any doubt that there was still room for “You had me at hello” references in pop culture, check this song out. Scared of Lonely—This song does a great job of putting vulnerability into an upbeat track. It would be great for a moderate-paced workout. 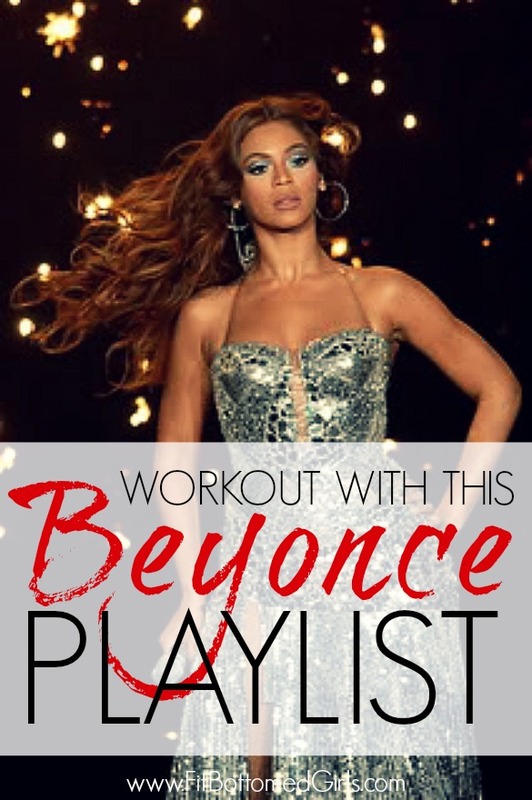 Need more workout tunes? Check out our girl rock playlist! Photo grabbed from beelover9481 at Flickr. I LOVE that she did the whole name thing…I know people mocked her but I think it’s SO FUN to reinvent ourselves. LOVE her music. Ring the Alarm is on the new Body Step and everyone lovvves it! You know, I was never a huge fan of Beyonce, but I could get on to this Sasha Fierce! What a fab alter-ego! I say I’m not a big fan of Beyonce, but I bop my head to the best of the beyonce jams, you better believe it! OBV the DomestiGals heart Beyonce because she is totally fierce and her voice is truly exceptional. But wherefore the alter-ego, B? You don’t need Sasha, you are fierce enough on your own! Notice the ‘dip’ around 0:17. Miz: I think MizKablammy has a nice ring to it! R: Great parody! Go track down the SNL parody video with Justin Timberlake if you haven’t seen it.